Division K (consisting of 4 beautiful countries: Lithuania, Latvia, Estonia and Finland) is organizing its annual spring conference. First time in Lithuania, conference approaches with a slogan "Passion is the new Fashion". Passion for public speaking, passion for leadership, passion for our great Toastmasters community! 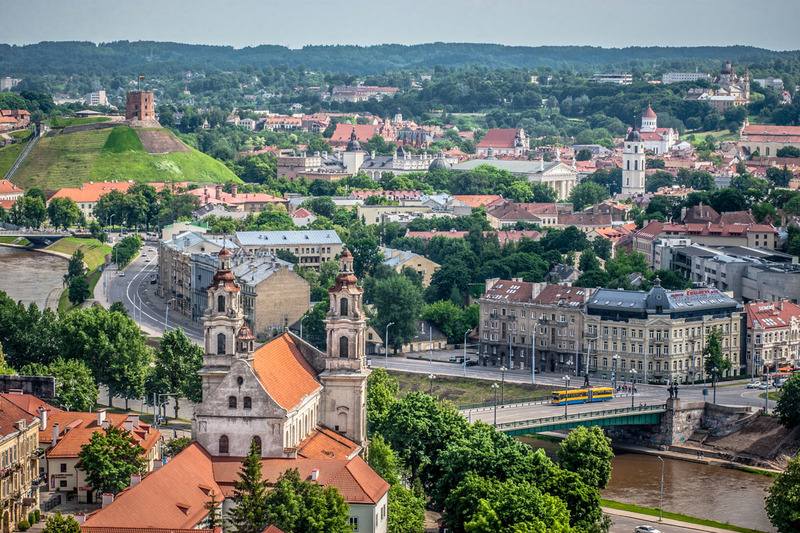 Passion for contest, passion for workshops, passion for exploring Vilnius! Organizing team is waiting for you on the 22-23rd of April in Vilnius, Lithuania! We are pleased to announce that Mark Brown, 1995 world public speaking champion, a Toastmaster for almost 25 years and internationally recognised speaker, is coming to Vilnius on 22-23 April for Division K Spring Conference! If you have given more than 2 000 trainings, you surely have a passion for what you do! Our keynote speaker Andrei Popescu is the one who loves what he does as toastmaster and as "Carnegie Master" - one of only 30 Carnegie Masters in the world. It has been said that only we can motivate ourselves. In other words, each individual is responsible for maintaining their own energy, drive, and consistent productivity. While most of us see that this is clearly true to a large extent, it is still the responsibility of leaders to create a work environment where this is encouraged to happen. This Keynote will focus on those changes we need to make at the 'Be' level in order for people to see us as true Leaders. Effective presentations begin with establishing the objectives of our message and narrowing down to the key points we want to leave with our listeners. We will also want to open with impact to create a positive first impression and close with power to leave a lasting final image. Good presenters use a variety of evidence to support their key points and link the message together to communicate with logic and precision. In his book, "The Quick and Easy Way to Effective Speaking", Dale Carnegie says that people evaluate us in four ways: What we Look like, What we say, How we say it and What we do. Presenting with impact means we use every resource available to communicate with credibility and confidence. This includes the wide spectrum of visual support tools available. It also includes US. The most important part of any communication is how we present ourselves. WE are the message. This workshop will help us, in a hands-on manner, apply all these common sense principles, so we can bring them to Common Practice. Valeria is a passionate Toastmaster since 2008 and a second DTM (Distinguished Toastmaster) in Russia. Valeria is Immediate Past Area Director and has served in many officers positions several times at different clubs. The workshop will provide the audience with quick and easy tools on creating and presenting a powerful and vivid elevator pitch (a 60 second sales speech to a VIP). This will help you to get prepared and not to lose your nerves at an important meeting and learn to express your thoughts clearly and confidently. Imagine yourself in an elevator together with a person who can impact your life and business. Usually we stare at him/her with an expression of immense surprise on our face… completely dumbfound. Yet, recent history knows amazing examples when people changed their lives thanks to a quick reaction combined with a great elevator pitch. But how to get ready for such a challenge? As a participant of this workshop you will learn the main principles of creating an extremely short yet highly impactful multipurpose speech. The interactive part will involve you in a team-work where you will immediately apply the newly gained knowledge onto writing, rehearsing and finally presenting an informative, motivational or persuasive 60 seconds elevator pitch to the audience. Why not give it a try? Check out Trafi﻿﻿.lt for directions to get there by public transport or use Uber, Taxify or eTaksi. We recommend Uber. You can get with Uber from pretty much anywhere for up to 5 EUR per fare.